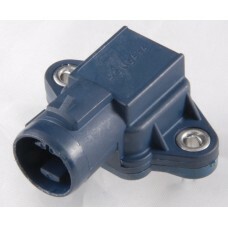 New Hondata 7 bar plug-n-play MAP sensor for D, B, F, H Series engines. This MAP sensor installs in place of the stock Honda MAP sensor without any wiring changes. Simply unplug and unscrew the stock map sensor, screw the Hondata 7 bar MAP sensor in place and plug it back in. Configure your tuning software to read the new sensor and you are ready for up to 80 psi of boost.